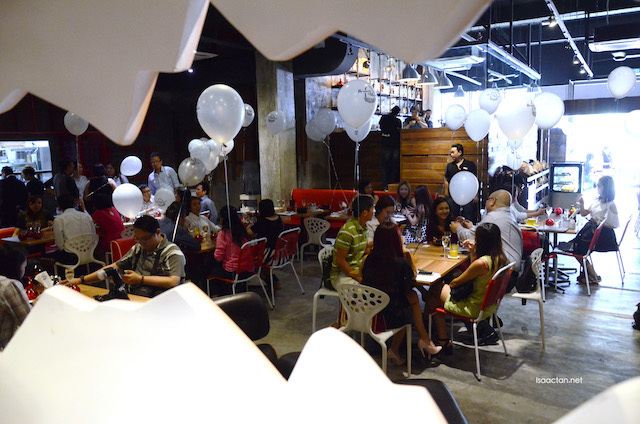 B&M with its high ceilings, occupy almost 2,800 square feet of space with a capacity of over 100 diners. 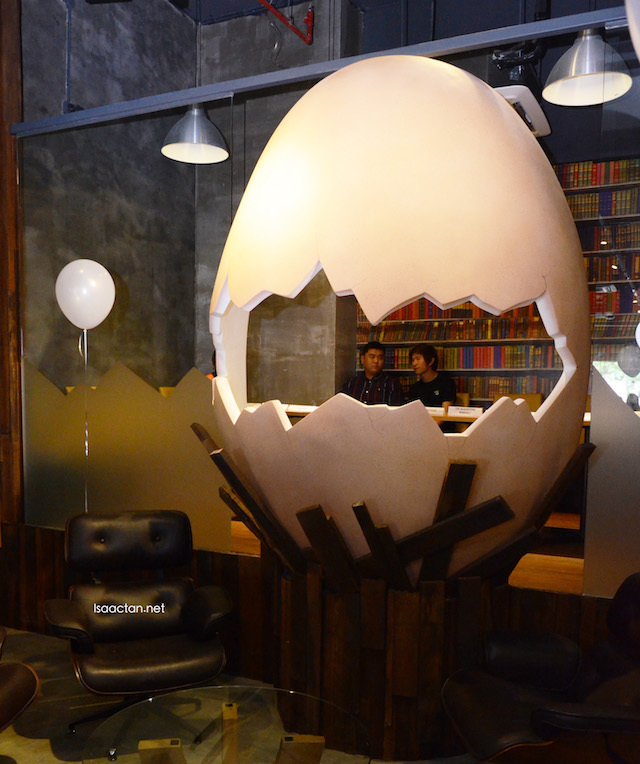 Inside, there's a unique raised up private dining room featuring an iconic 7 feet tall 3-dimensional egg sculpture. Characterised by rustic-style, eco-friendly design elements, the interior utilizes recycled materials and present an urban space for diners. 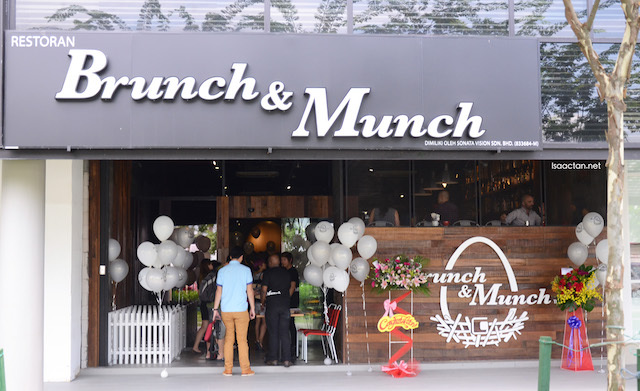 The front of Brunch & Munch has a casual bar, raised up three feet from the ground for great cocktails with a twist created by award winning mixologists from View Rooftop Bar at GTower. Yes, these two restaurants are under the same management, which is a really awesome thing. 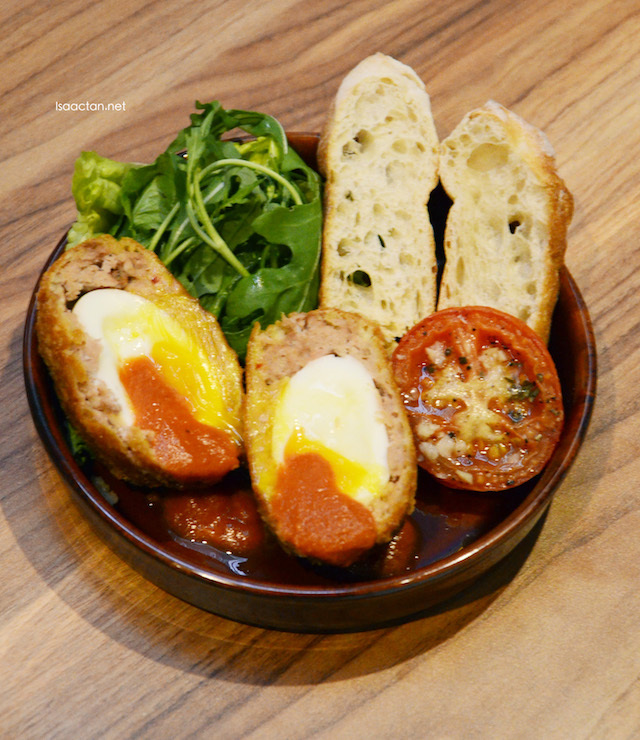 B&M's menu offers an exciting new food experience dishing up creative twists on comfort food, with a focus on EGG-citing creations. 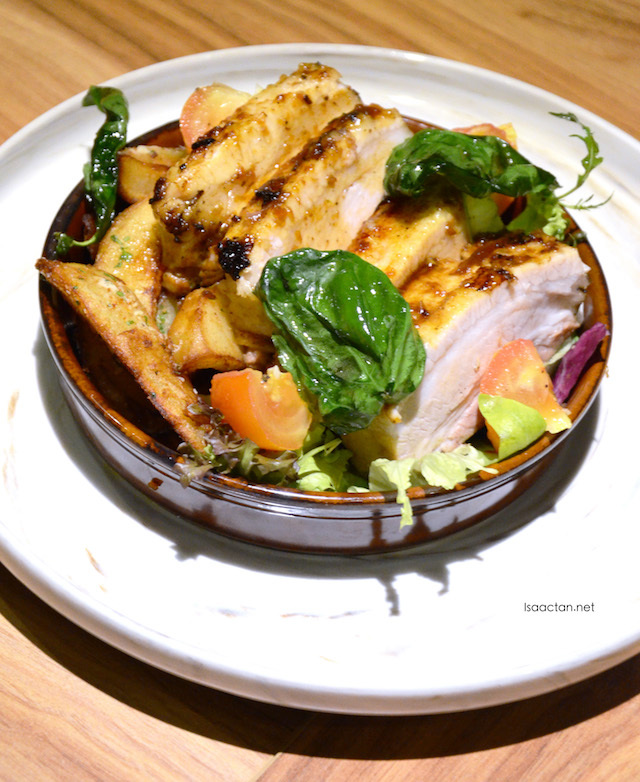 The restaurant is inspired by urban casual cafes concept but localized to the great ingredients that Asia has to offer. Diners choose from a simple menu which is crafted around "Munch" items which are lighter in between meals snacks, and "Brunch" items which are all day dining, more substantial dishes. Check out what we had that afternoon. 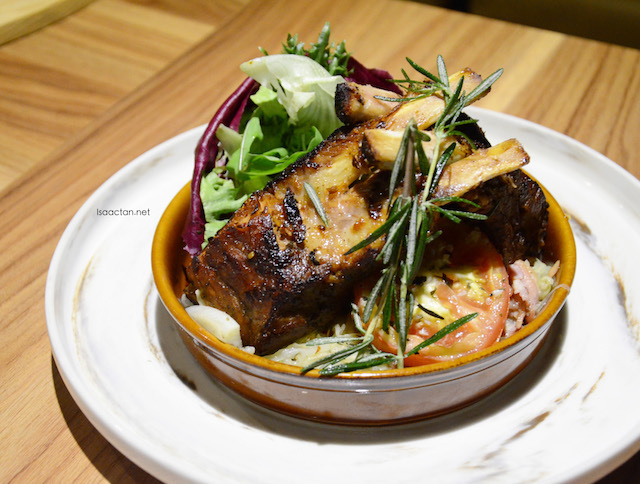 The MUNCH menu features items which are crafted lighter in between meals, like this mouth-watering slow cooked marinated Pork Ribs which is served together with potato wedges, sauteed cabbage and bacon. I do like this non-halal meaty dish a lot. Definitely recommended. With a rather interesting name, the Scottish Eggs is made up of these soft boiled eggs in spiced pork, sweet hot sauce and pickled cucumber. The idea of fitting in these eggs into pork meat is very unique and it does give out a contrasting taste. The sauce adds another dimension to the flavours. A porkilicious thin crust pizza aptly named the "Pig"-za came next. 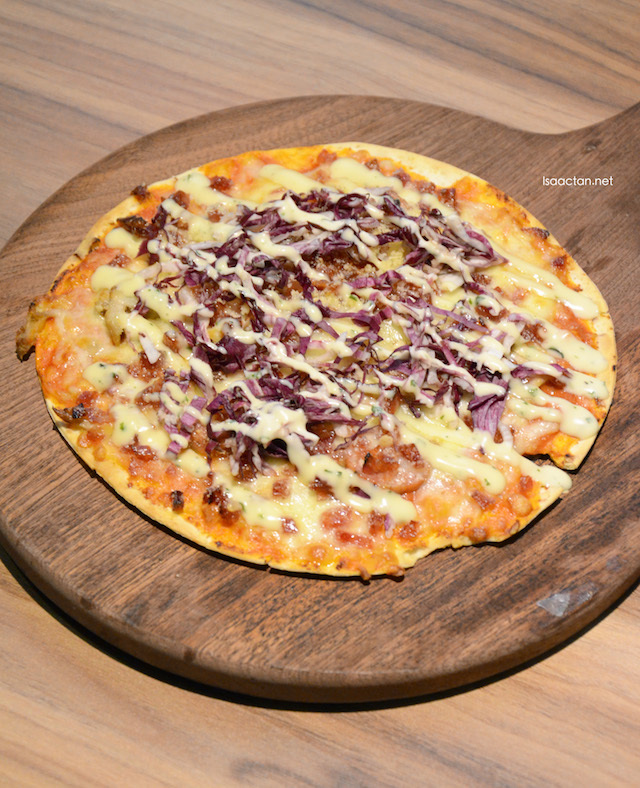 Numerous ingredients is added unto the very crispy thin crust, namely Ham, Chorizo, Shredded Pork, “Bak Kua”, “Lap Cheong”, Tomato Concasse, Mozzarella & Parmesan Cheese, Red Onion, and English Mustard Mayo. So much goodness, so little time to enjoy it all. Beautifully caramelized, the generous slices of sinful pork belly is served with side choices of potato wedges or steamed rice. Love how the flavourful dark soy sauce brings out the flavours of the meat. It's a bit fatty though, but hey, that's why we eat pork belly yes? Caramelized Pork Belly for the fats! A rather healthy dish, Brunch & Munch's Egg-cellent Salad makes for an excellent choice for those who want some vegetables with their meat. 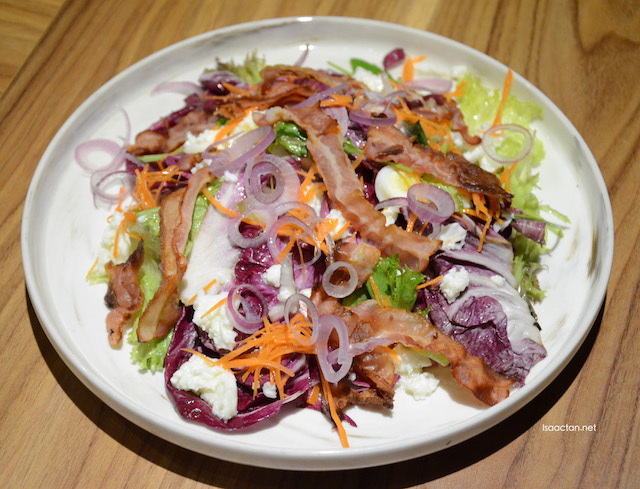 Served together with egg white, quail egg, carrot, bacon, onion rings, radicchio and rocket in refreshing honey citrus dressing to tease your appetite, this is actually a really nice salad dish. 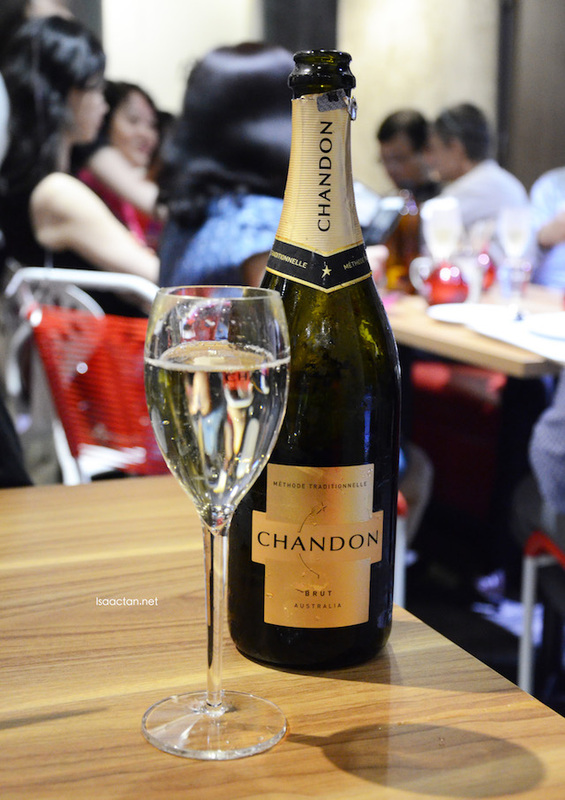 Catering for the weekend brunch crowd, diners will get to enjoy the Chandon Sparkling Wine at RM145 per bottle on every weekend that includes snacks. 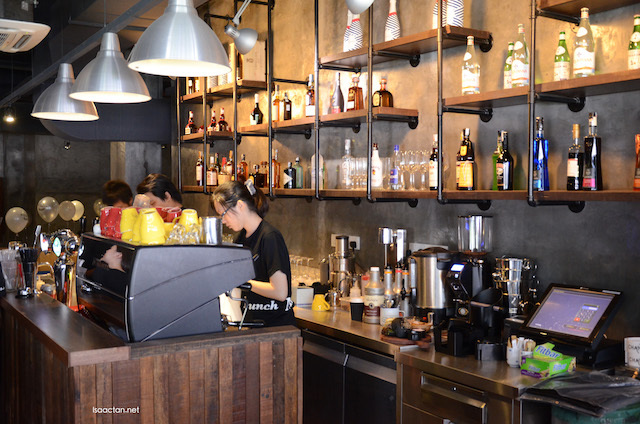 The bar will also have happy hour drinks and snacks for an ambient chill out experience. 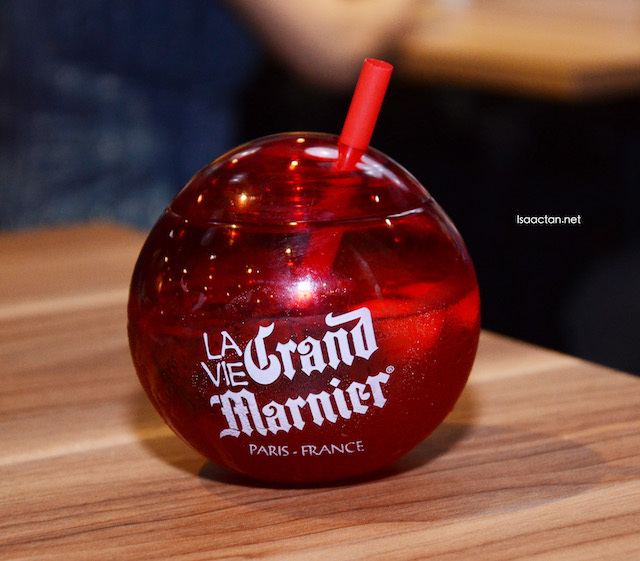 Try the Grand Marnier while you're there too, a blend of tropical intensely flavored green citrus bigaradia oranges and powerful, top quality cognacs results from nearly 200 years old, unrivalled know-how. So it's not open for dinner? they invited me but i was traveling. maybe i should pay them a visit one day. Food looks delicious here. I love their egg cracked counter. So creative. wow so this is the place we can find this big egg shell. haven't been to this area before,if go shall drop by. The big cracked egg is so cute haha. And the caramelized pork belly, oh la la. omg that scottish egg looks super yum!! The place looks great and it has a unique deco too. I know a few of my friends that will go gaga over the dishes here. the pork rib is so appealing. Wanna try that! This is one of the hittest restaurant in town now oh. Wanna go try it out soon. I am eyeing at that Pork Ribs with the Chandon. I love the decor, I might go soon.